Do submit your work to writing contests run by reputable organizations. Do choose contest categories that match your genre or themes. This contest is to honor immigrants who struggle over language barriers, poverty, stigmas, and injustice. Your entry could be a firsthand account or a retelling of someone else’s experience. Show how your protagonist goes about pursuing what she/he wants while confronting antagonists (persons or circumstances); use authentic details to show protagonist’s recollection or attitude of “the old country”; foreshadow the core theme in the first paragraph. ELIGIBILITY: Submit a 1,500 word maximum unpublished short story, essay or monologue. Must have a title. Thank you, Bardi Rosman Koodrin (Literary Director, Fine Arts Galleria at the San Mateo County Fair), for helping me refine my contest description. Thank you, Luisa Adams, for being co-judge this year 2016. Thank you, Mary E. Knippel, Prof. Sheryl Fairchild, and Margie Yee Webb, for being co-judges in past years. · For Theme’s Sake: Edit Your Own Manuscript Before Pitching to Agents or Self-Publishing· Heroes, Tricksters, and Villains – What Do These Archetypes Want in Your Story World? https://www.sanmateocountyfair.com/fair-info/fair-info/grounds-map Look for space #4 which is Fine Arts Galleria in the building on right side of this map; once you’re in the Fine Arts Galleria, look for the Literary Arts stage and California Writers Club members! 6:30-7pm - Anna Boothe presents: Job Hunting That Works! They’ll gladly sign your book purchases for you! The Literary Stage in the Fine Arts Galleria, Expo Hall. Thank you, California Writers Club Member Eileen Shaine, for asking me to broadcast these writing contests! FICTION: Personal experiences developed as fiction, have proven to be popular favorites in this category. Not to exceed 3000 words in length. PERSONAL ESSAY: A personal essay should reflect the writer’s personal outlook on life as gained through personal experience but it must not be an editorial/opinion piece, a proposal to solve an existing geopolitical problem or a dogmatic expression of opinion. Stories in these categories may be written in any narrative point of view, and must not exceed 3000 words in length. POETRY: Submissions to the Poetry category may be rhymed, metered or free verse on any topic desired by the writer. Poems may be written in any narrative point of view. Typed manuscripts must use double-spacing between lines, quadruple-spacing between stanzas and must not exceed 500 words or two double-spaced pages using a 12 point font. Manuscripts must be original, previously unpublished, and in English. They must be double spaced on 8.5 x 11 inch white paper with the pages numbered at the top right hand corner. Contestant’s name must not appear on the manuscript. No graphics or illustrations on manuscripts, please. Judges reserve the right to place manuscripts in more appropriate categories. Manuscripts not conforming to said guidelines will be reviewed only at the judging staff’s discretion. Contest judges are not eligible to participate in this contest. 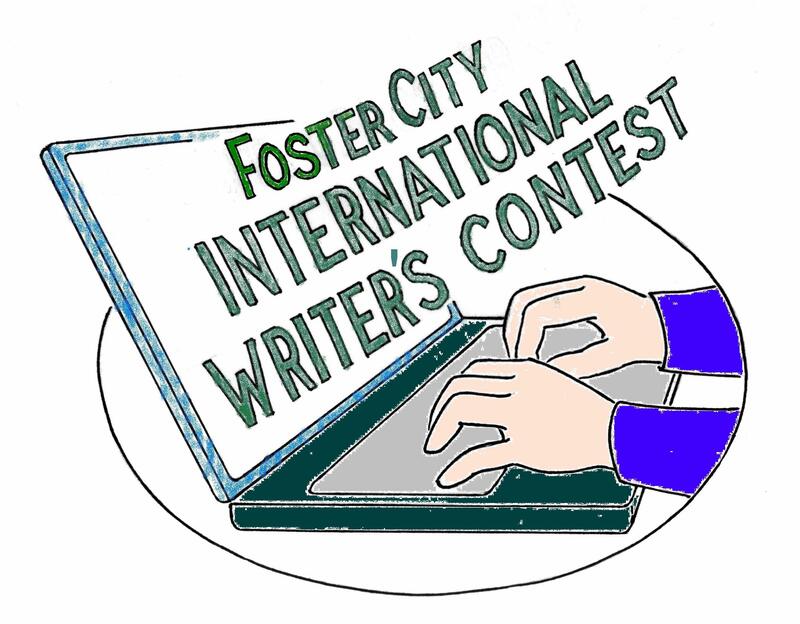 Entry forms can be obtained either online at the website or by sending a request to the contest email address: <fostercity_writers@yahoo.com> or send a request for an entry form along with a self addressed, stamped envelope to the City of Foster City address (seen below). Please send manuscript as an attachment (RTF, Word [DOC], PDF, or TXT format) to <fostercity_writers@yahoo.com>. In the email subject line include: Writer’s Contest Entry, Category and your name. Please retain copies of manuscripts as they cannot be returned. Please mail the check along with your completed entry form to Foster City Parks and Recreation. Manuscripts will be accepted through September 13, 2013 (postmarks accepted). Manuscripts without fees will not be accepted. Only winners will be notified. Each winner must provide a social security number or the equivalent in order to receive the cash prize. For any general contest information please call: 650.349.0388. Cheers to all contestants and contest creators and sponsors! Before you send off your submission . . . if you’re near San Mateo, CA, please attend my editing workshop on June 8, 2013 on the Literary Arts Stage in the Fine Arts Galleria at the San Mateo County Fair, San Mateo, CA – click here for more info. http://writingcoachteresa.com for Coach Teresa’s list of events; see how she helps her clients.